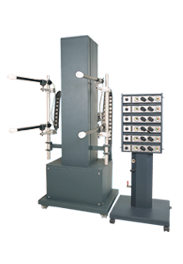 Now get the most advanced powder coating machine in an automatic version. It comes with a powder coating gun(Infniti-V2), and a host of other unique features to give you the best finish with reduced coating times and increased powder savings. The M700 is available as an automatic system. 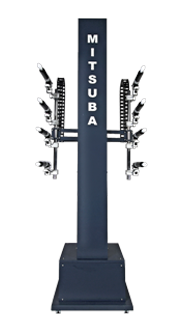 Take your powder coating operation to the next level with Mitsuba’s automatic powder coating guns. Get a Perfect finish with consistent uniform film thickness. 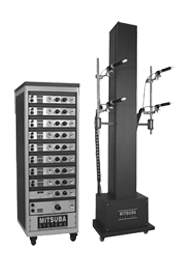 Mitsuba’s Tribo series available as an automatic system. The Tribo guns can be mounted onto a reciprocator or can be fixed in one position. Coat the most complex shapes, now with the reliability and consistency of an automatic system. 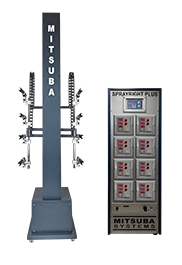 Move to a new level of powder coating efficiency and consistency with the Mitsuba’s Reciprocator finishing systems. For the best result integrate the reciprocators with powder spray guns and a conveyor with a Magic Eye System. Multi-Axis reciprocators are available to coat any object with the best possible finish. 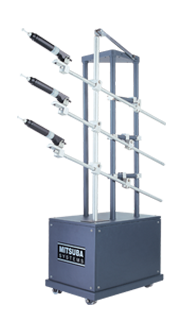 Mitsuba’s Electro mechanical Oscillators are a basic, start-up automation tool for industrial powder coating set ups. Achieve automation; reach a new level of productivity with Oscillators. New generation powder optimization equipment. Eliminate powder wastage and increase profitability. Automatically turns off extra spray guns depending upon product shape and size.